Merton, the performer that became famous by playing improv piano to viewers on Chatroulette, hasn’t actually been on Chatroulette for months, he admits to NewTeeVee’s Liz Miller during the NewTeeVee Live 2010 conference on Thursday. 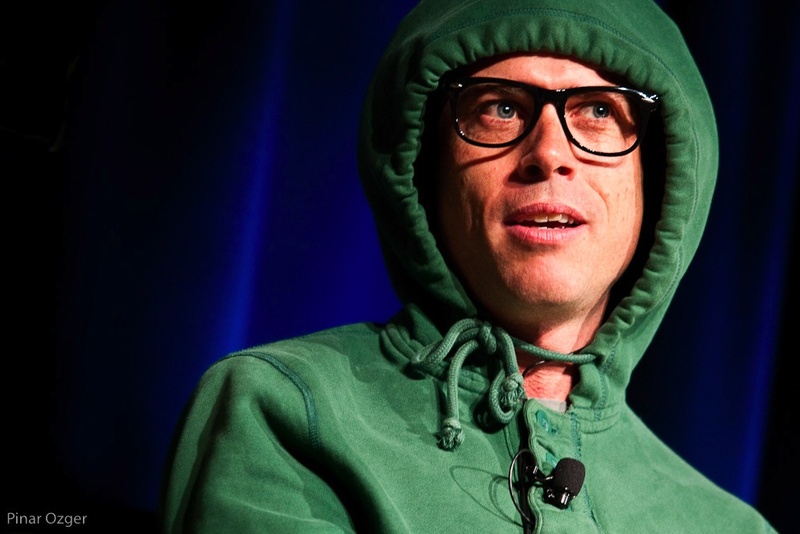 Instead, donning his standard hoodie and black rimmed-glasses on stage, he tells Miller that he’s been busy playing live piano events, and is “99.9 percent of the way to signing a contract,” with a big company to support a public interaction piano film project. How did a performer, who threw together a costume that he admits is “odd” and “hot” (so much so that it prevented him from making an appearance at Burning Man), jump into such a limelight? He embraced the novel site Chatroulette, which randomly connects video chatters, when it took off, and is now evolving past the site. “It’s not a fertile ground for me anymore.” But he’s still surprised that Chatroulette never took off for other performers at the time, like comedians. Merton, who doesn’t disclose his real name, said “going viral” on YouTube, was “disorienting and surprising.” In addition he’s said he’s rejected a variety of advertising offers from companies that make food products that he doesn’t eat, but he is interested in working with companies whose products he uses, like Apple (s APPL) or Adobe (s ADBE). At the end of the day, Merton, seems to solidly know what he wants to do and recognizes how unusual his fame is: “The world doesn’t need 20 hours of Merton, if I put out one good hour,” it could be good.